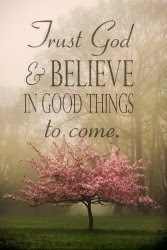 You wake up one day & the storm is over. I have been enjoying the run up to Christmas. Last year, because I was made redundant, I didn't know if I was going to have to move out of my house. I didn't really know where I would be going. 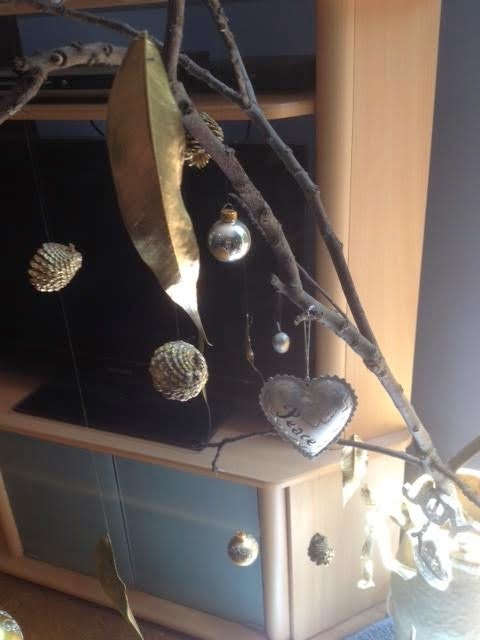 So I got rid of a lot of my Christmas stuff. 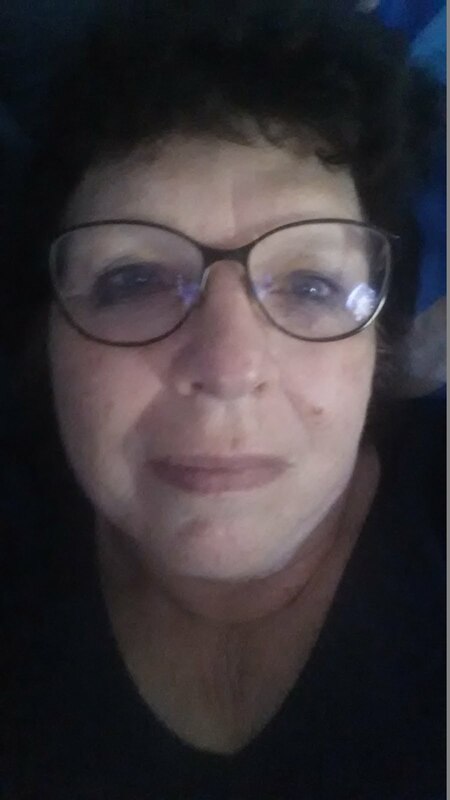 (I have a few health problems and I ended up receiving a pension which meant I could keep my house.) 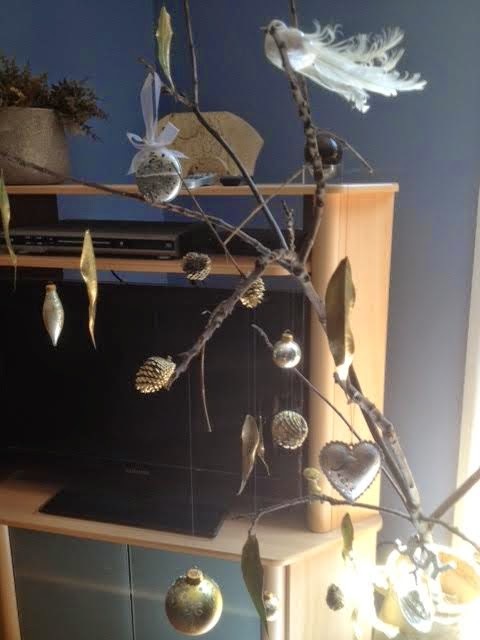 So this year my decorations are a little low key and somewhat home made. 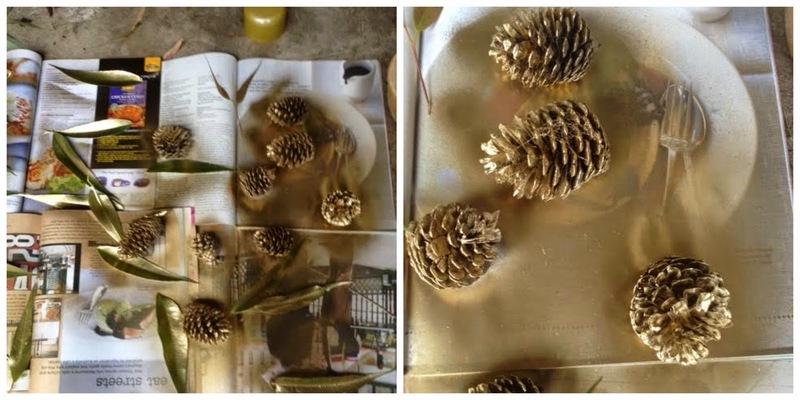 I found some gold spray paint in the garage and gave some pine cones and leaves a spray. 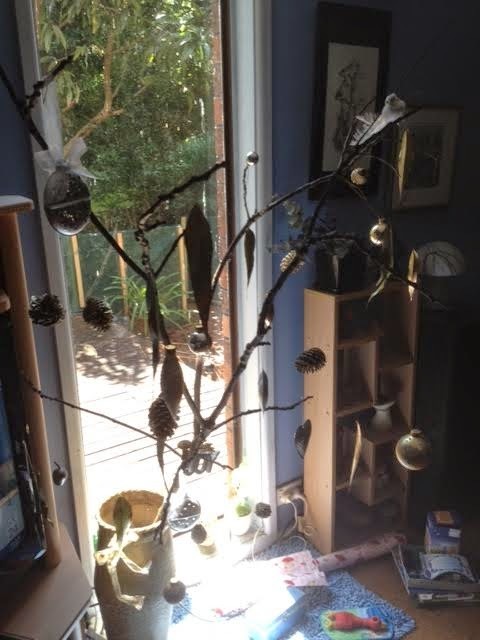 Then I hung them on my branch tree. 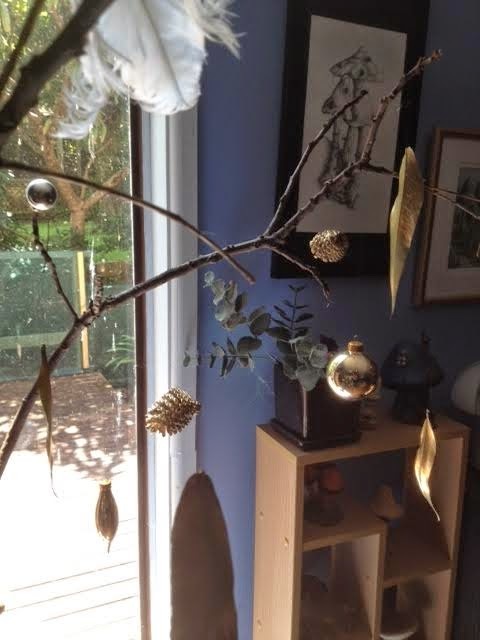 I found my branch out in my yard and decided on gold and silver and white decorations. 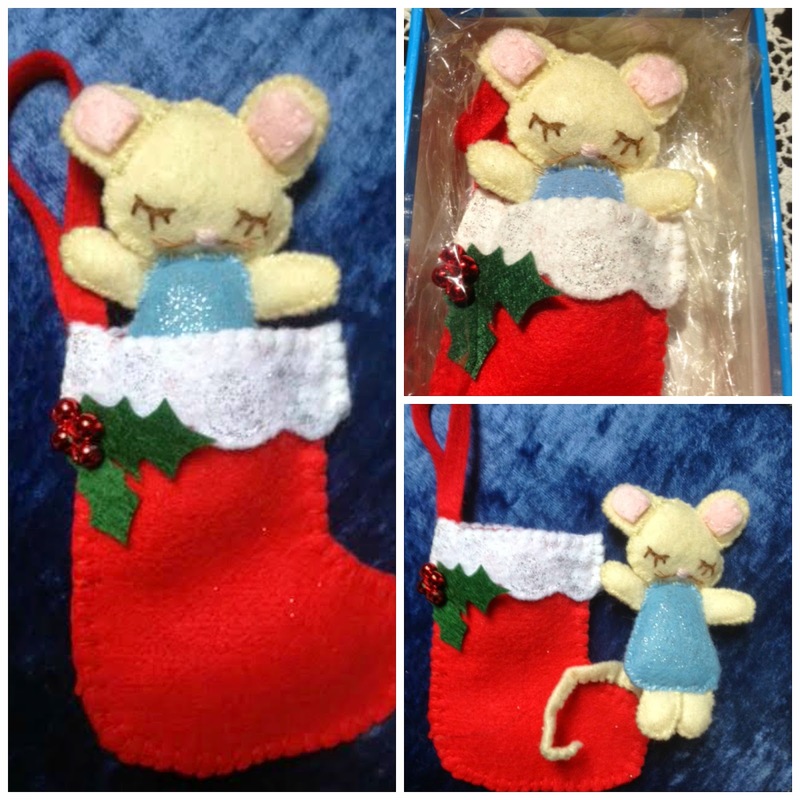 I made a special friend this little mouse in a stocking to hang on her tree. 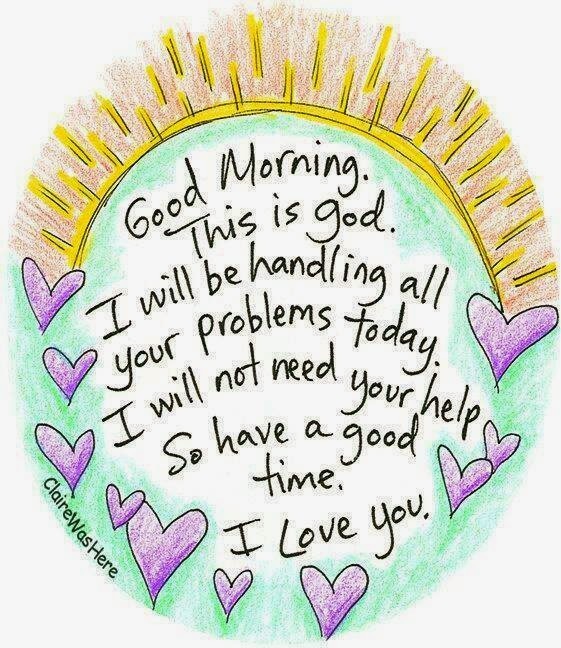 She loved it and hung it on a door knob where it would be more easily seen. 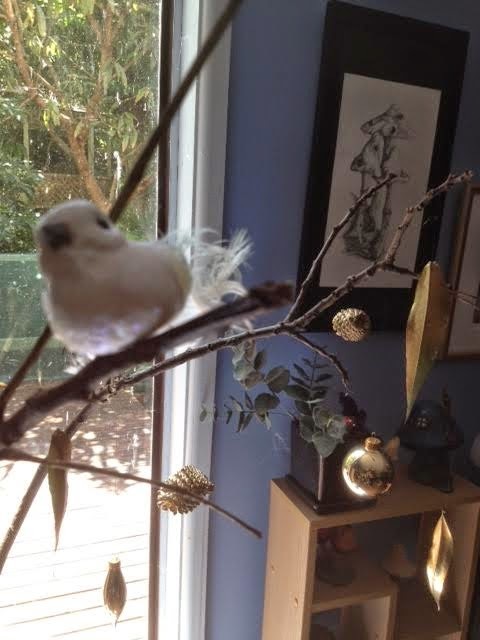 It is hand sewn using felt. You can find the tutorial for it here on Molly and Mama Makes. 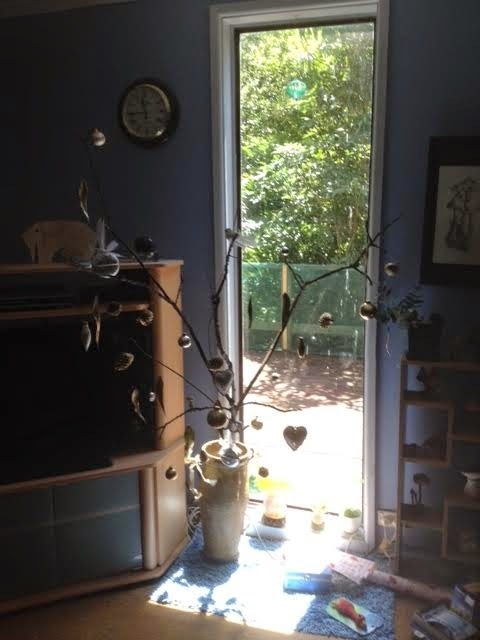 The Cat Birds have been back, perched on the branches of a swamp oak outside my window. 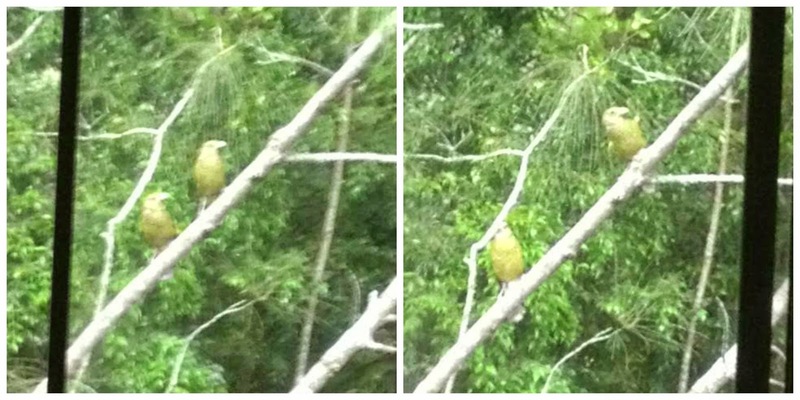 It is interesting to note that the Cat Bird is actually a member of the Bowerbird family. They make a mewing sound just like cats - hence their name. I love the birds that come to my yard. 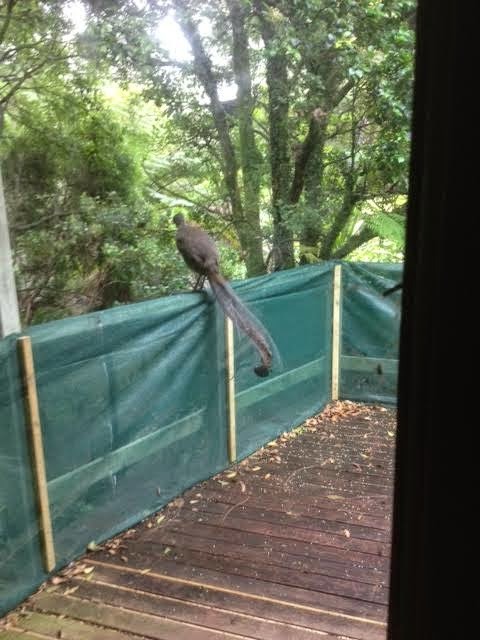 The lyrebird has been around a bit on my back deck but seems quite skittish and I haven't been able to take many photos of him. But I managed one this morning. He was perched on my deck going through his repertoire of bird calls, which sounds very pretty. 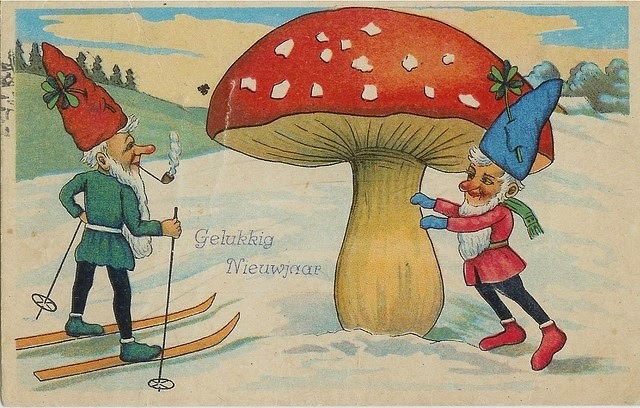 I'll leave you with one of my lovely Christmas pictures with toadstool. Extensive planting within cities is now widely recognised as a means of improving air quality. Therefore, green roofs contribute to the reduction of a number of polluting air particles and compounds not only through the plants themselves, but also by deposition in the growing medium itself. 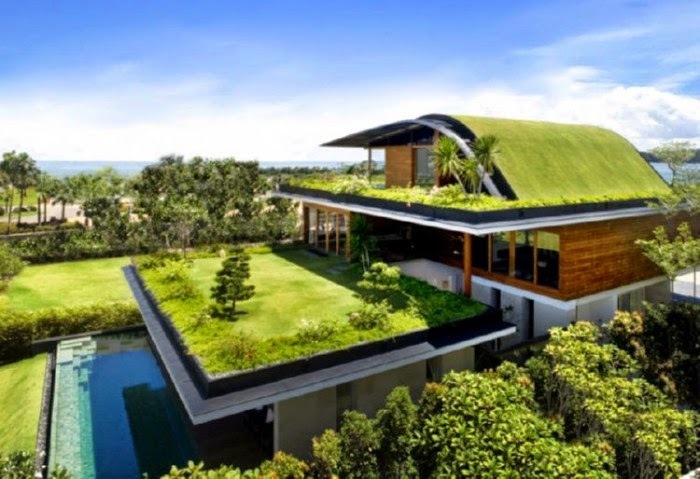 Green roofs have a number of advantages. Click here to read about them and see some interesting photos. 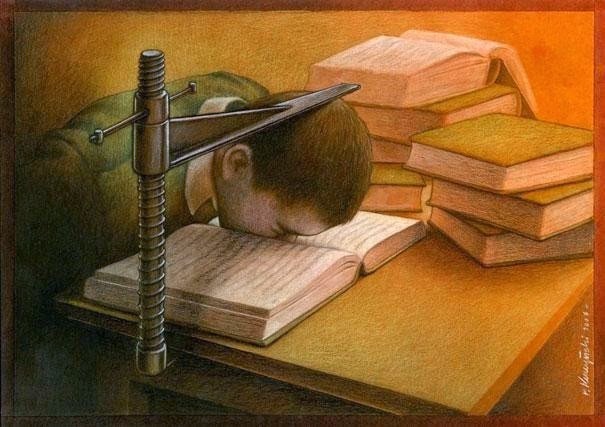 Pawel Kuczynski is an artist from Poland who create thought-provoking art. At first sight his illustrations may appear funny, but when you look closer, they actually depict some serious problems of today's world. Can you decipher Kuczynski's message through his art? 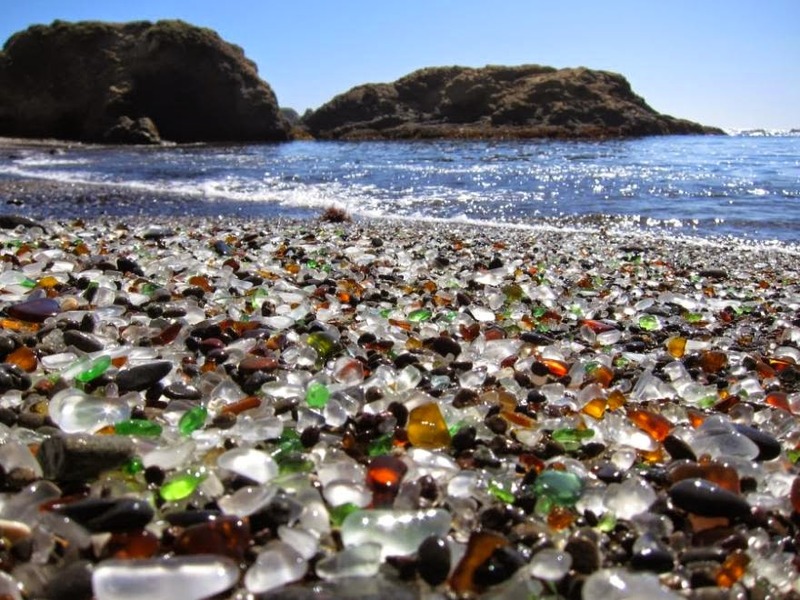 Here are 17 beaches that, in one way or another, might not be anything like the beaches you’re used to.